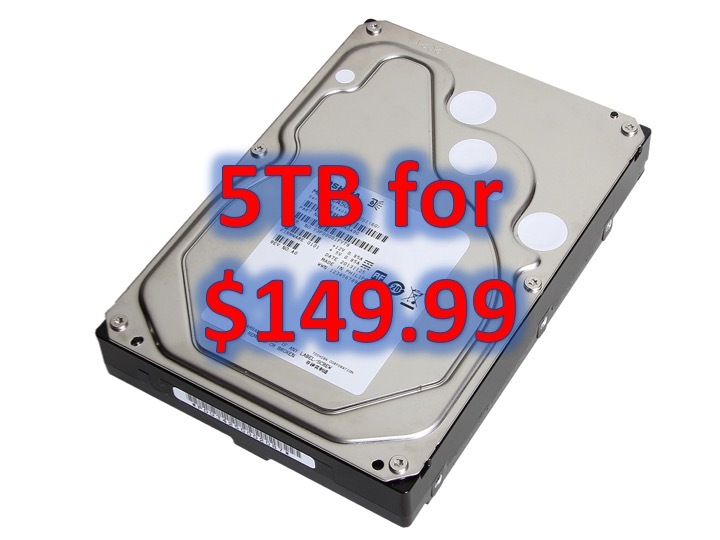 Storage is getting cheaper and cheaper! 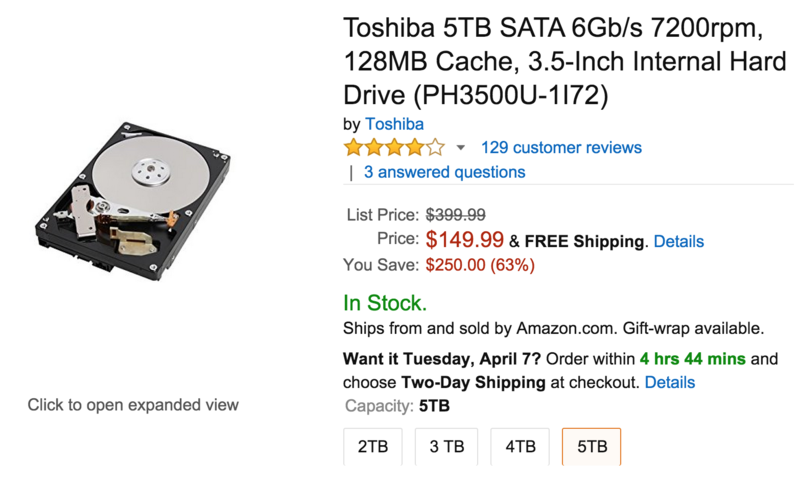 5TB for $149.99, I mean remember when they use to sell 32MB SD cards. Yikes! If you don’t have a desktop, its not a problem, you can use this as an external hard drive! We highlighted this gadget on our top 5 must have gadgets under $45! With the Sabrent USB 3.0 Dual Bay External Hard Drive , you can use any hard drive as a external HD. Yup, this gizmo also has a 3 year limited warranty! If you need to store movies and need a lot of storage, this is the gadget for you! Click here to buy Toshiba 5TB 3.5-Inch Internal Hard Drive now!